The rain hasn’t stopped pouring down today in Edinburgh, and thoughts go to a Scottish must have: The brolly. 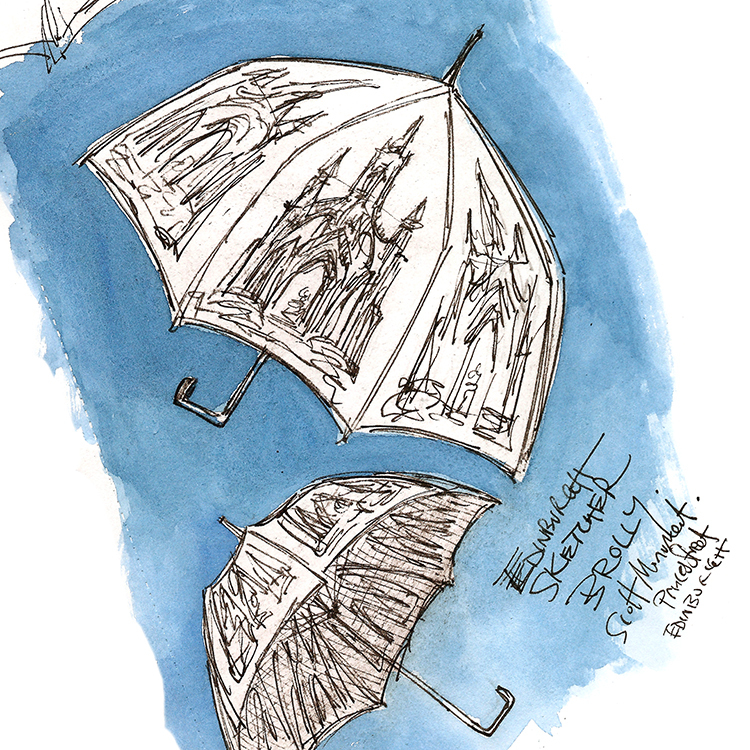 Together with wallpaper and lampshades I have always thought my black line art work would look great on an umbrella, especially with the artwork showing through to the inside, and what better a shape to fit on each panel but the Scott Monument on Princes Street. What do you think, should I go into production?